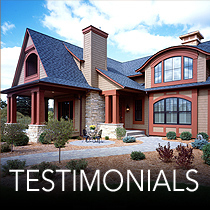 Our mission is to build quality craftsmanship, customer service and impressive design into every home we build. Combined with innovative land use, we focus on the integration of careful site planning to the installation and careful completion of the finishing touches. We pride ourselves on being a recognized leader in our industry and amongst our peers, as well as striving for excellence in the eyes of our clients and our community. For directions to our Selections Center, click here.